We supply and install high performance composite doors for homeowners in Ledbury and the surrounding areas. We offer competitive pricing and high quality products every time. 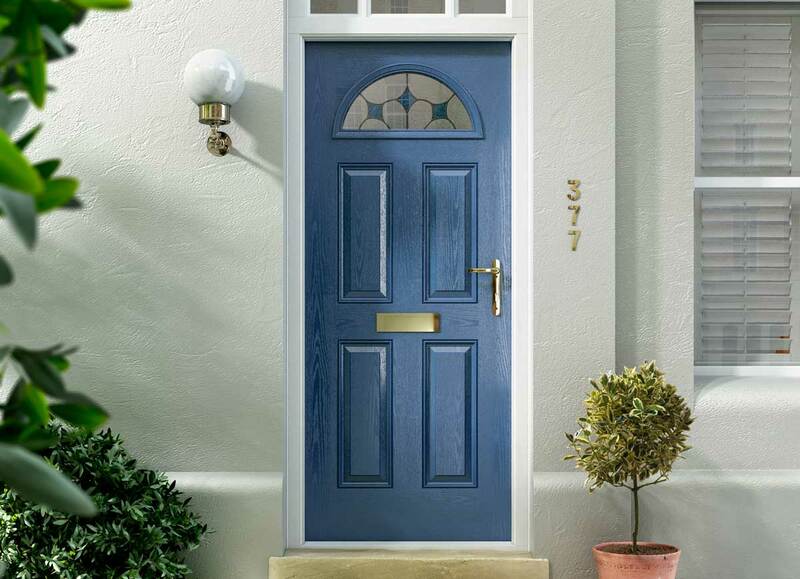 Our composite doors are created using a number of materials each selected for their specific properties. The result is a door solution that is highly durable, secure and sturdy. We know that homeowners in Ledbury want a secure door that will protect their home from potential break-ins, with the additional benefit of thermal efficiency, weather protection and visually pleasing looks. Our composite door range ticks all of the boxes and means that you never have to compromise on style over functionality. The composite door is a low maintenance solution without needing time or money spent on their upkeep. All they require is a wipe down from time to time to keep them at optimum condition. They are specifically designed to protect your home from potential intruders as well as adverse weather and remain robust even after frequent or heavy use. If you’re looking for a door solution that is long lasting, durable and can protect your home, the composite door is the ideal choice. All of our doors are made to measure to ensure the perfect fit for your Ledbury home. 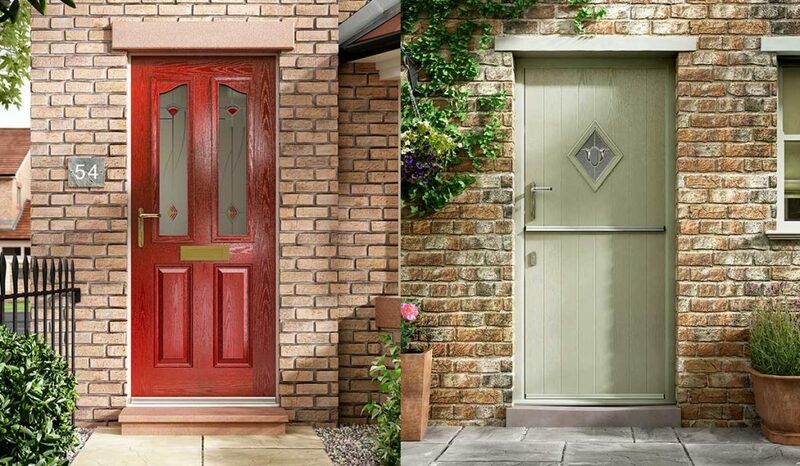 We offer a range of composite door designs in varying styles to complement any property type. From contemporary properties with modern flair, or homes that are more traditional our composite doors look the part and create a great first impression. The front door is the first thing visitors to your home will see, which is why our composite doors make an excellent choice for the entrance to your Ledbury property. Our composite doors also make a great selection for doors at the rear of your property or for connecting rooms. The possibilities are endless. All of our composite doors are available in a wide range of colours which look just like traditional timber without any of the issues wood suffers from. Our long lasting woodgrain foils exude luxury and sophistication, finished with a GRP (glass reinforced) skin that is scratch proof. You won’t have to spend time or money on the upkeep of your newly installed composite doors. 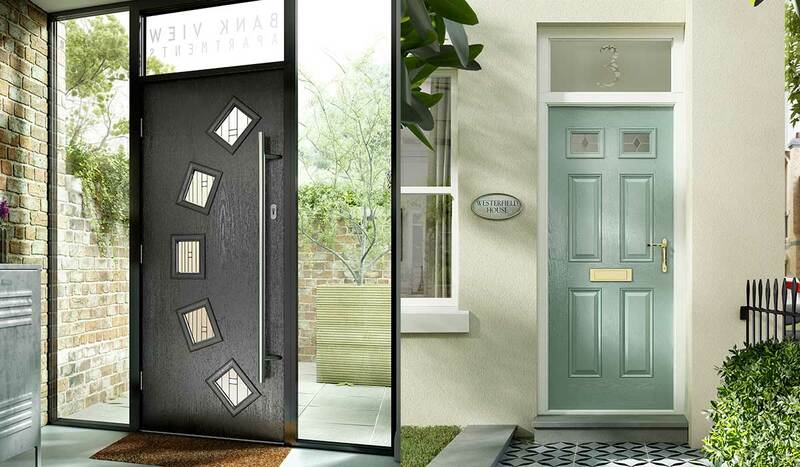 Our composite doors offer a long list of features and benefits for your Ledbury home. Starting with the expert design, you will benefit from innovative crafting that results in a unique composite door profile that can’t be found anywhere else. With a wide range of colours and door accessories, we give you the freedom to design your composite door in minute detail, providing a unique door that is bespoke to your home. Mounted on a structural frame and filled with high performance thermal foam, our composite doors are incredibly thermal efficient, keeping your home warmer for longer. You’ll find you rely less on the central heating, meaning that your energy costs will decrease and so will your carbon footprint. This makes our composite doors a cost-effective solution as well as eco-friendly. The sealing system on our composite doors works to keep your home warm and dry by weatherproofing your Ledbury property. This helps keep draughts and moisture out so you won’t need to worry about condensation, mould or damp problems. Our composite doors mimic the look of authentic wood but they do not suffer with rotting, warping or discolouration due to the intelligent design. All of our composite door profiles come with high security locking mechanisms as default. This gives you the peace of mind that your family and home is safe and secure. Our doors have been thoroughly tested and put through rigorous assessment to ensure the highest performance every time. You can be confident when you choose a composite door with Malvern Glass that you’re getting a quality solution for your Ledbury home. We offer very competitive prices for our composite doors in Ledbury. We believe that all of our customers should be able to benefit from extremely secure and robust doors for their property at a budget-friendly cost. If you have any questions don’t hesitate to get in touch and our helpful team can answer any queries you may have. You can input your composite door requirements into our online quoting engine to get an instant and accurate quote for your needs. It is an easy step by step process which provides a free and no-obligation quote. If you have any questions, you can reach our expert team via our online contact form. We can talk you through our composite door range and advise or recommend any home improvement products you may be interested in. We look forward to hearing from you.